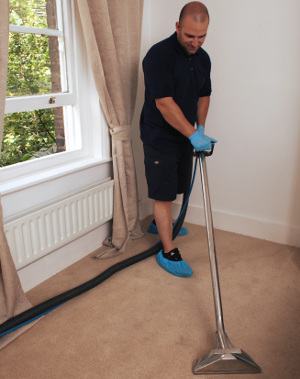 Carpet Cleaning London By Excellent Carpet Cleaners Ltd.
Gutter Cleaning = 10% OFF! Don’t have time or proper equipment to remove these dirt or wine stains off your rug or sofa? Don't panic! Call Excellent Carpet Cleaning Ltd. now and we’ll get it all done. Hassle-free top-notch carpet cleaning London for domestic and commercial properties. We have been on the market for more than 10 years and have thus gained great deal of knowledge and understating of how to properly treat all types of fibres. We clean synthetic, wool and organic materials. Effective stain pre-treatment and 95% moisture extraction. Free post-cleaning tips from our vetted and experienced carpet cleaners. You can request a call back from our team for a free quote over the phone or through our booking form below. SAMEDAY SERVICE AVAILABLE! Why Book "Excellent Carpet Cleaning Ltd."? Our company has been around for many years now and going strong first founded in London. Now our teams of expert cleaners cover the entire Greater London area. We are happy to provide a satisfying cleaning experience to all our clients. We handle any project size, from small home cleaning to large corporate office cleaning jobs. To provide you with the best service possible we get the best cleaners. Our carpet cleaners London are completely trained and specialising in a wide range of cleaning methods. They are capable of extracting even the toughest of stain. Our services come with a comprehensive insurance policy which covers each aspect of our interaction. From safe payment options to a risk-free cleaning experience for even the most delicate rugs and carpets. We offer expert furniture and rug cleaning to businesses and homeowners in London. We guarantee a clean, risk-free result. We are specialized in deep fibre cleaning and longterm carpet care. Although we do not guarantee 100% stain removal (no one does), we do guarantee you’ll get the best of us. Your floor or furniture will be well cleaned, your money well spent. 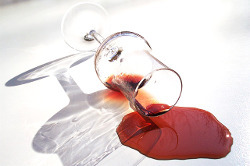 We can refresh all high traffic areas, and try to remove wine spills, coffee spills, beer spills, oilish stains, dirt, urine, blood, ink stains. Furthermore, we can apply special protection spray and speed up drying time using powerful air mover. Our services can be carried out regularly (weekly, fortnightly, monthly) or as a single cleaning appointments (one off cleaning, end of tenancy cleaning). Our technicians are all well trained and instructed to do thorough inspection prior treatments, to wear overshoes, to place protection pads under furniture, to be friendly and helpful. Carpet deodorising is upon request. Out prices are fair and affordable. We charge additionally for weekend/bank holiday bookings. Parking fees are not included in our final price. See more details on our services page. Top-Rated Carpet Cleaners Just A Call Away! You can contact us for a booking or for information on the treatments on 020 3404 0500. To request a call back from our team, fill in the booking form with valid contact information. Get a free quote over the phone or use the live chat room to learn more about a treatment or a service. Payment options vary from card payments to cash or bank transfers. Waste no more time and book the best carpet cleaning London service in the Greater London area.